Remember the iPhone 6 and the painful, gut-wrenching “Bendgate” controversy that followed with it? Well, Apple’s latest iPad Pro might have just taken the pedestal from the 2014 device, if the new video is anything to go by. The video in question was posted by YouTuber JerryRigEverything on 16 November 2018. If anything, the video is pretty much a stress test of the iPad Pro, with JerryRigEverything subjecting the tablet all manners of destructive actions. From snapping the new Apple Pencil in half, to literally scratching Spider-Man’s face into the back of the tablet. The excruciating “bend test” moment have at the 6:28 mark of the video. 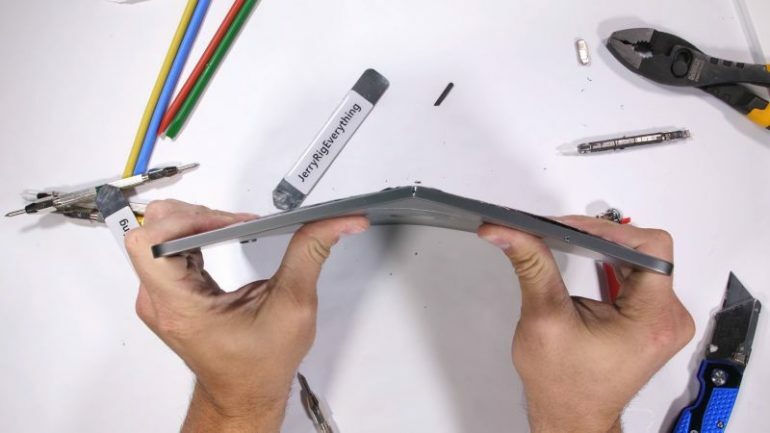 As if bending it once wasn’t enough, JerryRigEverything then tries to “bend it back” in place, but it’s obvious at this point that the iPad Pro has been rendered useless. Besides the video, Apple-centric site MacRumors also reported that there had been a few complaints about the iPad Pro’s bending issue on its forums. Unfortunately, the pages to those forums seemed to have been taken offline at the time of writing. To be fair, the YouTuber in question is more or less notorious for taking electronic devices and subjecting them to extremities. If only to determine their physical limits before completely ceasing to function. The new iPad Pro is just the latest in his growing list of devices. Of course, if you’re still planning on getting the iPad Pro when it arrives in Malaysia, we do recommend that you get yourself an accompanying case for it.